Being in Ferrybridge meant getting a Saturday newspaper was much easier than it would have been at Beal Lock on the River Aire. There was only one copy on the rack in the shop so Mick snatched it quickly. He returned to the boat valiant and with more news. He’d seen Tom (C&RT chap from yesterday), who’d been on his way to give us the news that Bank Dole Lock would now fill. 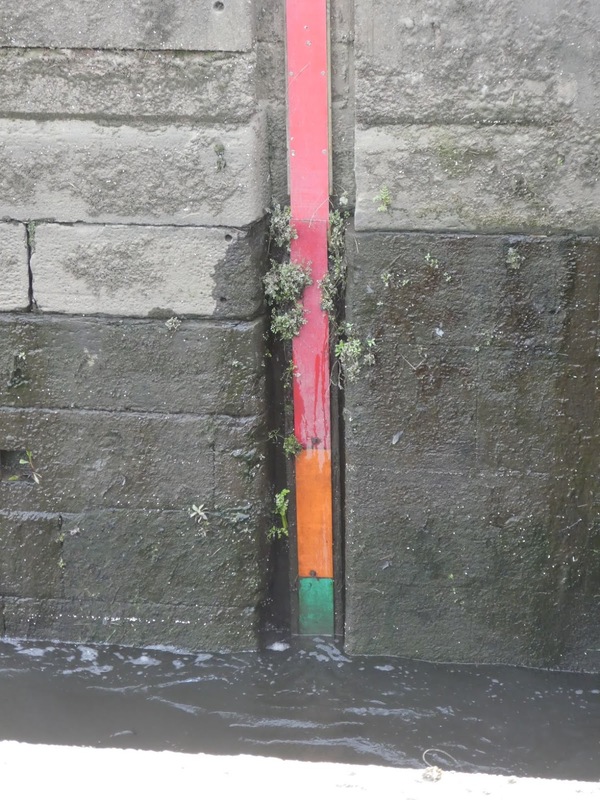 He and his mate had cleared more silt from the bottom gates yesterday and even though water was still bubbling up from under the off side gate the lock would now fill. They even went and lifted a paddle for us so that it would be full for when we arrived. Whilst we had breakfast NB Milly Molly Mandy pulled away from the moorings, heading in the same direction as us. Which way would they be going? Down Bank Dole Lock that was sat waiting for us, on to Whitley Lock? Oh well we’d find out when we got going. Saturdays and Sundays you tend not to get many emails from C&RT about stoppages on the network. But this morning, before 9am there was one that dropped into the inbox, it almost had our names on it. 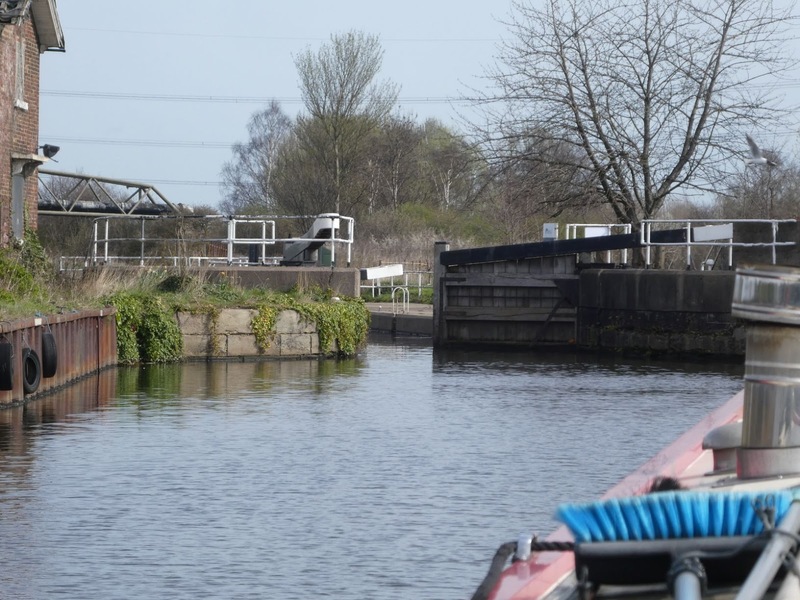 Selby Lock is presently unavailable for passage due to a mechanical fault. Canal & River Trust Staff are on site assessing the fault. This notice will be updated as soon as further information becomes available. 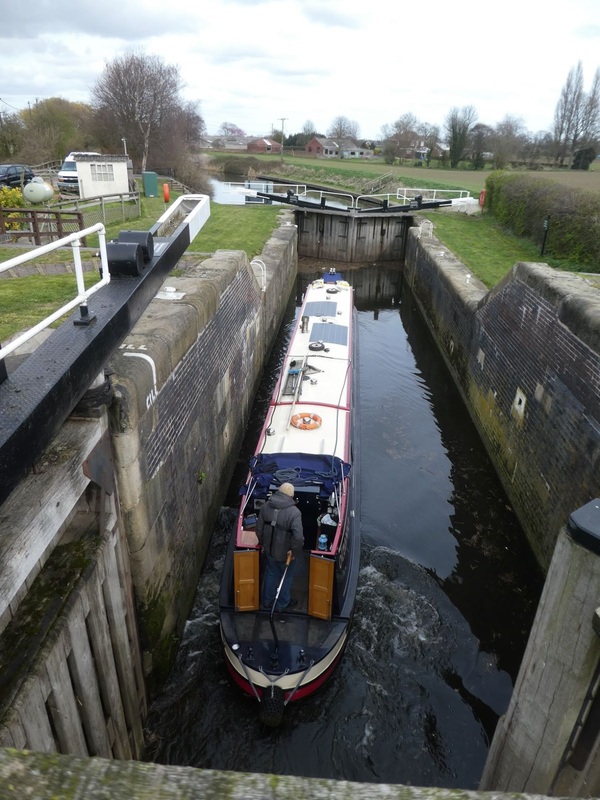 In the meantime please note Selby Lock is unavailable for passage. We very quickly decided that we’d carry on with our plans and head to Selby anyway. If passage through the lock isn’t possible this next week then we’ll think again, but at least we’d be able to ask the Lockie about progress and save them sending us emails. It’s open, or is it? Pushing off we made our way back to the junction, turned left and soon could see that the lock was full, waiting for us with gates open. 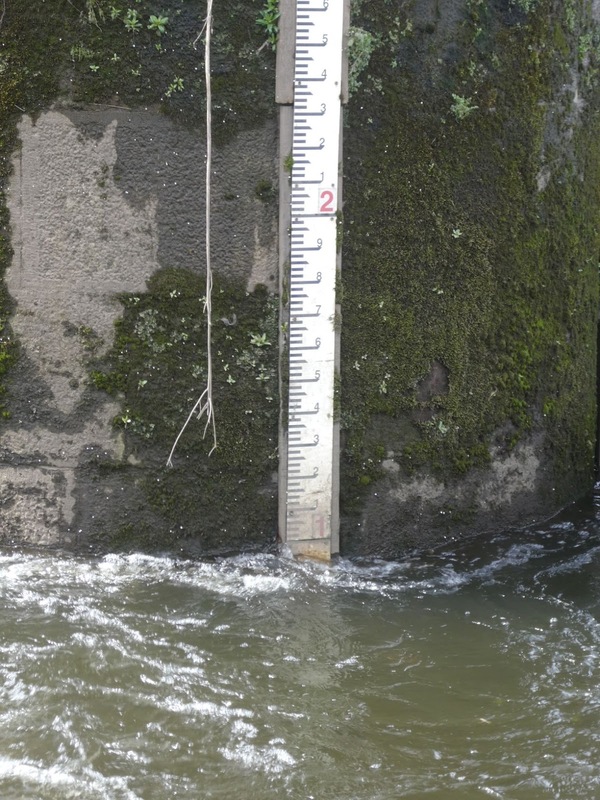 One of the flood gates just above the lock was closed, possibly just swung open when the levels had equalised, except the hefty pole that is used to keep them closed in flood situations was down. It didn’t matter, we could get past and then all gates were closed and opened as needed and the one working paddle closed ready for us to go down. The hydraulic gears on the paddles take some winding, 34 turns in all. Then the big heavy gates, these take a lot of shifting with all your weight, at least I knew this before I started. At last Oleanna was down on the River Aire. Mick picked me up and we were on our way. 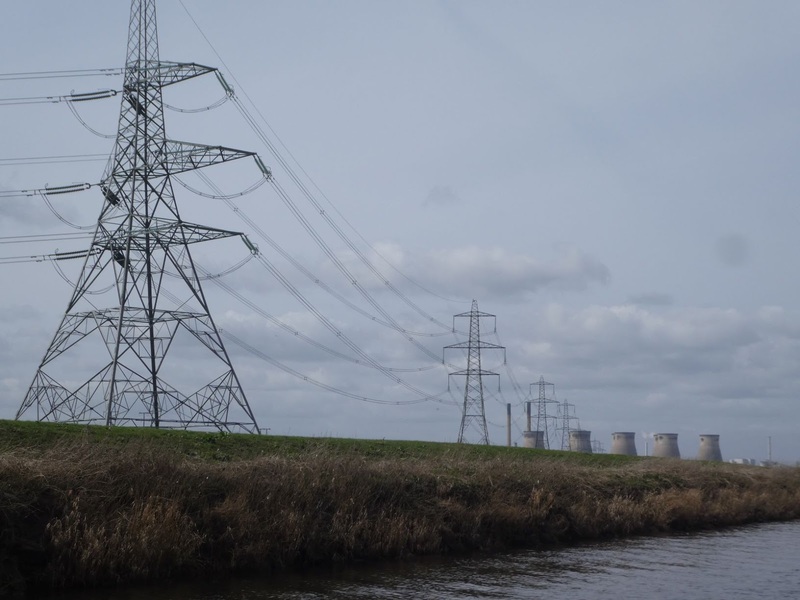 Twisting and turning, this way and that, Ferrybridge, Drax, Eggborough Power stations all coming in and out of view with every turn. I tried to get a panoramic photo with all of them, but the windows of opportunity between trees were too short to get all 28 cooling towers in one photo. Maybe if I’d stood on the roof to see over the flood banks I’d have managed. The river in the green I made note of the height gauge. Today around 0.9m. I reckon that the top of the amber would be around 1.75m. Checking later on Gaugemap the levels at Knottingly Lock appeared to be the same as at Bank Dole. So if we have rain before we return we can have an educated guess as to if the river is navigable before we get to it. 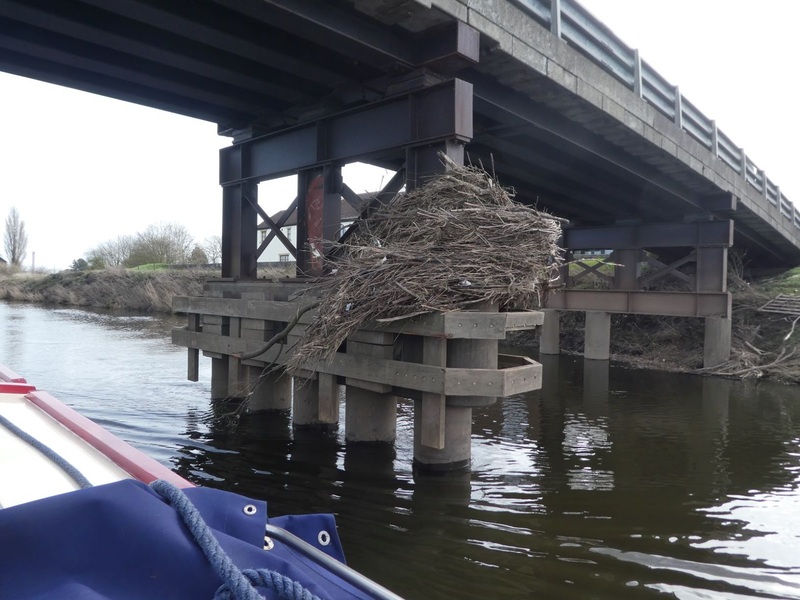 The recent floods had only just stopped before the full height of the flood banks. Lines of reeds and plastic detritus showed the height very well. 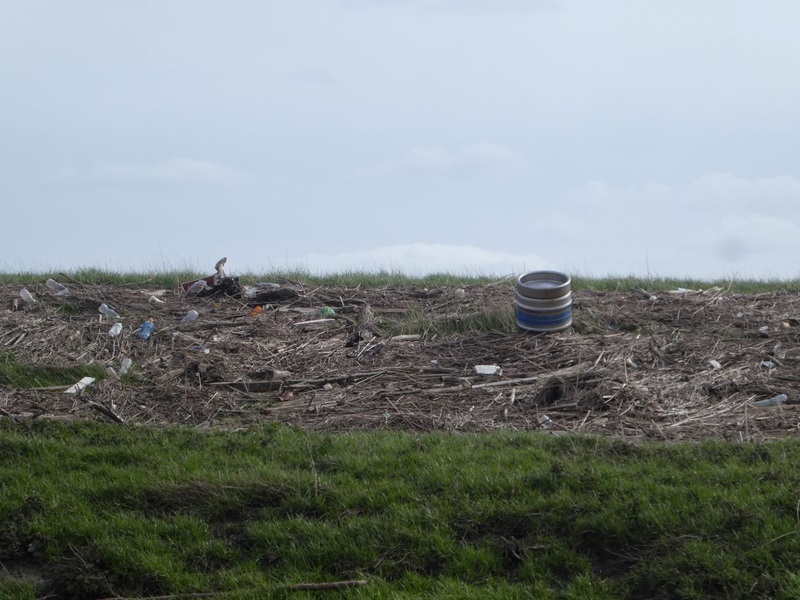 The amount of rubbish caught in the branches of trees along the banks was revolting, bottles, bags, polystyrene and two beer barrels ( had the John Godber Theatre Company misplaced their barrels from Bouncers? ). Approaching Beal Lock the road bridge also showed evidence of the floods. Masses of reeds frozen in time had caught on the supports, a snap shot of the speed the water must have been flowing. 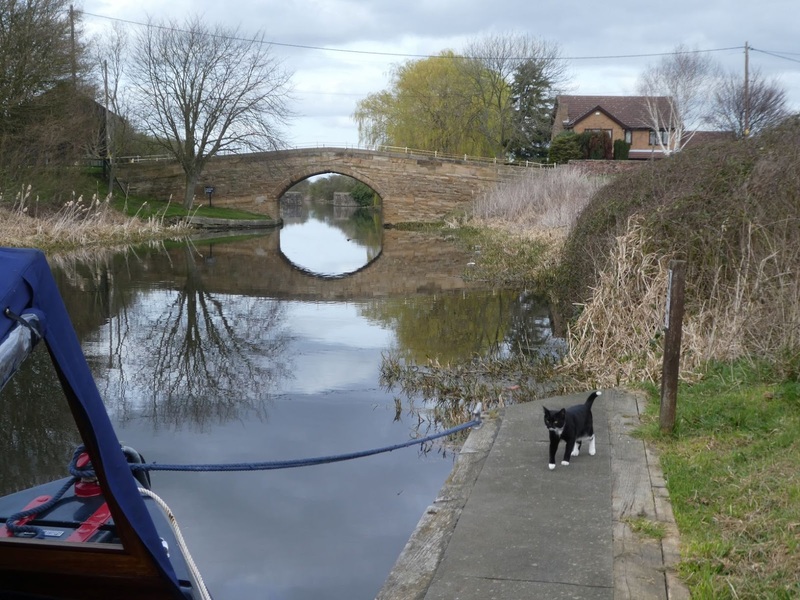 The pontoon by the lock was empty, we’d have stopped here last night, but today we carried on to find a more cat friendly mooring. The first gate I opened got stuck half way, it wouldn’t budge in either direction! The off side gate however obliged so we could get Oleanna into the lock. Another try at shifting the gate did nothing, most probably stuck on silt. Before we bothered Tom again, I lifted a paddle on the bottom gate, then gave the obstinate gate a big shove, thankfully it moved. More twists and turns brought us to Haddlesley Flood Lock. We think we’ve been straight through here once, the other times the lock has been in operation. Today it certainly was with a height difference of about eighteen inches. The walls are so high, all flood protection. A quick look around, a bit of friendly cover and just a big bank! The bank, as with most high things, needed climbing. A big field with nothing much growing in it, it really should try harder. 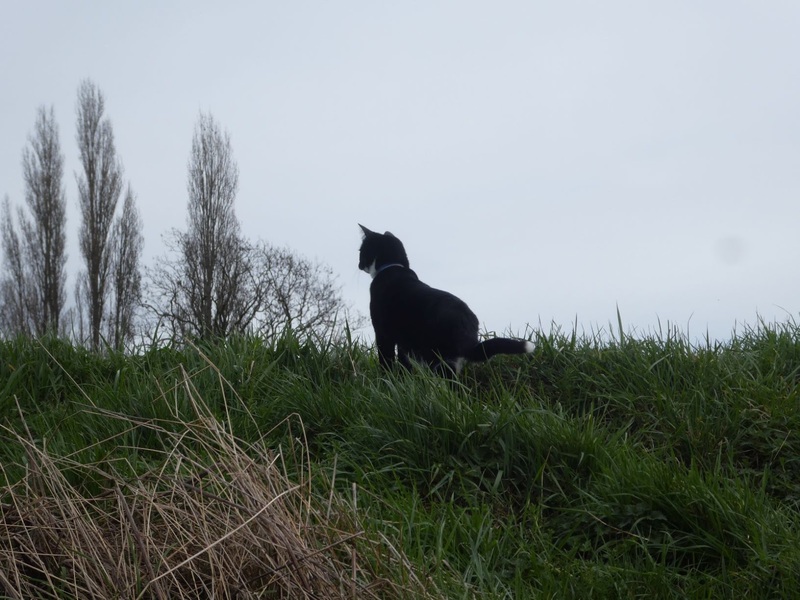 The bank would have to do, so I set about pouncing on anything that moved. This was quite friendfull. 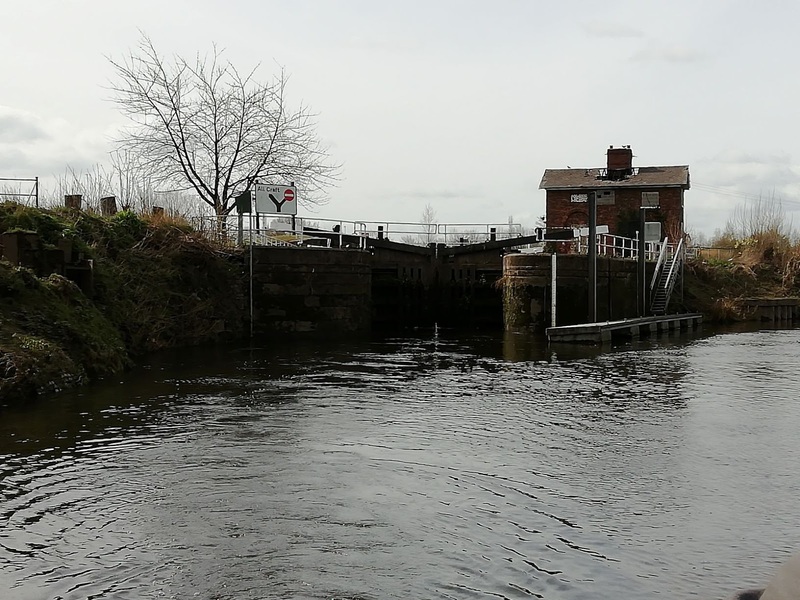 Later in the afternoon we got an update on the Lock at Selby. 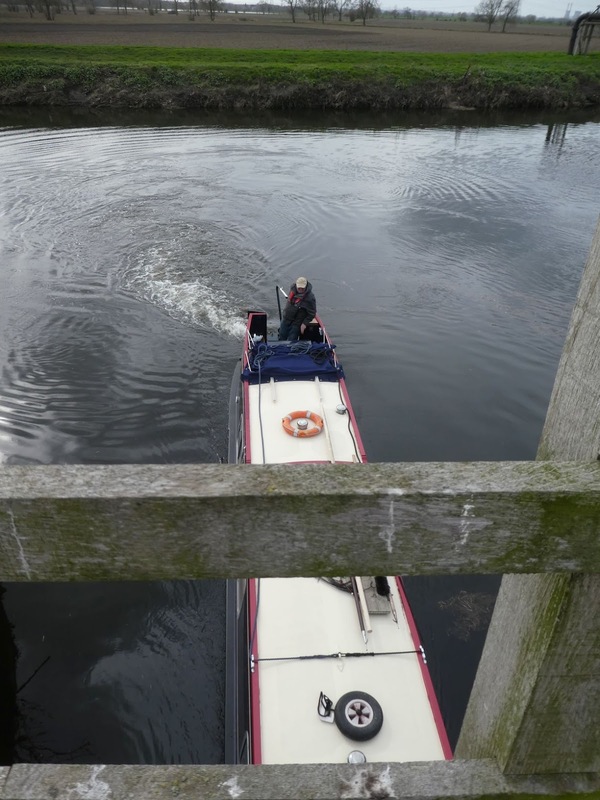 Canal & River Trust engineers have reported specialist parts will be required to complete the repair. 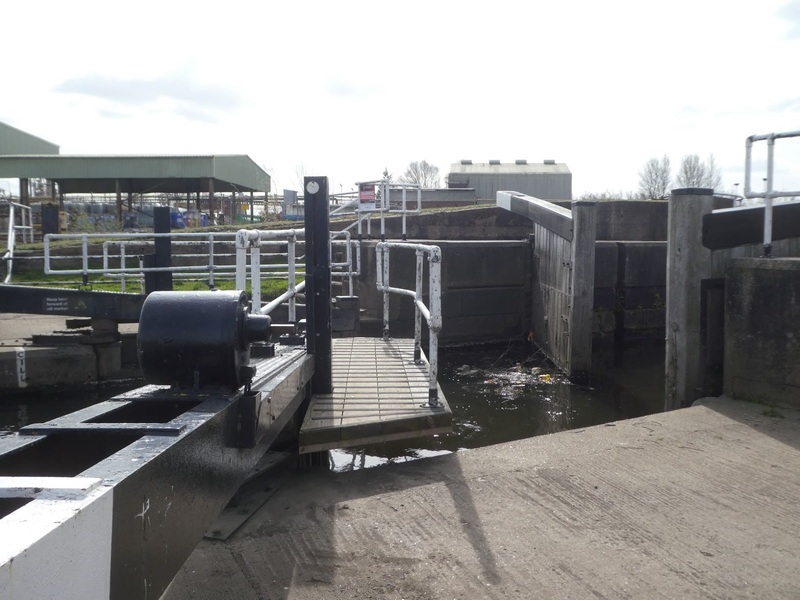 In the meantime Selby Lock remains unavailable for navigation. This notice will be updated before midday Monday. Our booking isn’t as yet affected, but depending on specialist parts it might be. We’ll wait and see. 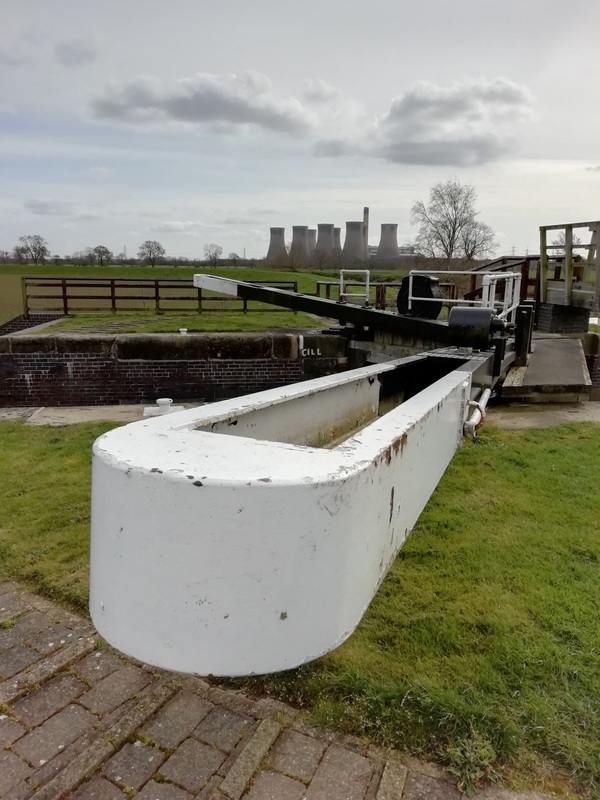 3 locks, 7.73 miles, 5 miles of twists and turns, 3 power stations, 1 excited boater, 1 humoring boater, 1 newspaper, 2 beer barrels, 8 footballs, 36275437489 plastic bottles, 3455228 dog poo bags, 456748735343567 other plastic bags, 1 million plus marchers, 1 tasty friend, 1 grassy head, 8 sausage rolls, 1 sock pattern, 1 lock broken, 2 boaters waiting. This entry was posted in Uncategorized on 25th Mar 2019 by pipandmick. I did see that stoppage and wonder how it was going to affect your plans!